You guys are awesome. When I ran the tip jar last month, I didn’t expect a huge turn-out, but you guys pulled through and donated a total of $223.00 to the cause. 2. Remy Angellette’s novella for the Becoming series (which is tentatively titled The Becoming: After the Fall). I hope you guys are looking forward to both of these! 🙂 I know I’m looking forward to them hitting e-shelves once they’re ready to go! With the upcoming release of The Becoming: Revelations, the third book in my six-book zombie series, near the end of this month, the reviews have begun to slowly trickle out of the woodwork. And first up on the block is Buy Zombie, one of the leading websites for all things zombie-related! Overall, Revelations keeps The Becoming series fresh with increased action, several plot twists, literal death defying escapes, and enough action and zombie gore splatter goodness to keep any fan happy and content. If you’ve read all the books in the series up to this point, don’t miss this one. You can check out the entirety of the review right here. I’m sitting in the airport in Dallas right this moment waiting for time to fly back home. Once I’m there, I’ll be making a big post recapping all the awesomeness at Texas Frightmare Weekend! THE BECOMING Named One of Barnes and Nobles Best Zombie Books of the Decade! Yes, you read that right. My little book The Becoming recently landed a slot at #18 on Barnes & Noble’s 20 Best Zombie Books of the Last Decade list! As you can imagine, I am THRILLED about this. It totally made my day to see my book listed among some of the greats from the last ten years. You can check out the entire list right here. The Becoming as a series also got a shout-out on Dana Fredsti’s article My Top 7 Favorite Horror Series over on the Huffington Post, a bit of an honorable mention, if you will. 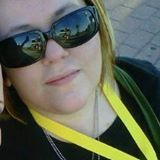 You can check out her list of awesomeness by clicking here. I’ve (Finally!) Set Up a Mailing List! …and I’m embarrassed that it’s taken me this long to get around to doing it. In my defense, I didn’t know how, but David Gaughran’s post about it helped tremendously. That said, I’m prepping my first newsletter, and I figured I’d plaster the link to the sign-up form for you guys to hit up so you can keep up with the latest news and releases. I won’t be sending out one too often, mainly when there’s a new release or preorder available or when there’s some absolutely huge news to share. I won’t give your email addresses out to anyone, and I won’t spam your inboxes (I hate spam as much as the next person). You can sign up for the mailing list by clicking here! Cover Reveal: THE BECOMING: BROTHERS IN ARMS! The Becoming: Brothers in Arms is available for FREE on Amazon and Barnes & Noble (the new cover isn’t showing on B&N yet but will be soon!). Merry Christmas! THE BECOMING is on Sale for $2.99! Merry Christmas to all my friends and followers! In celebration of Christmas (among other assorted things), there’s quite a few sales going on that I thought I’d fill you all in on. 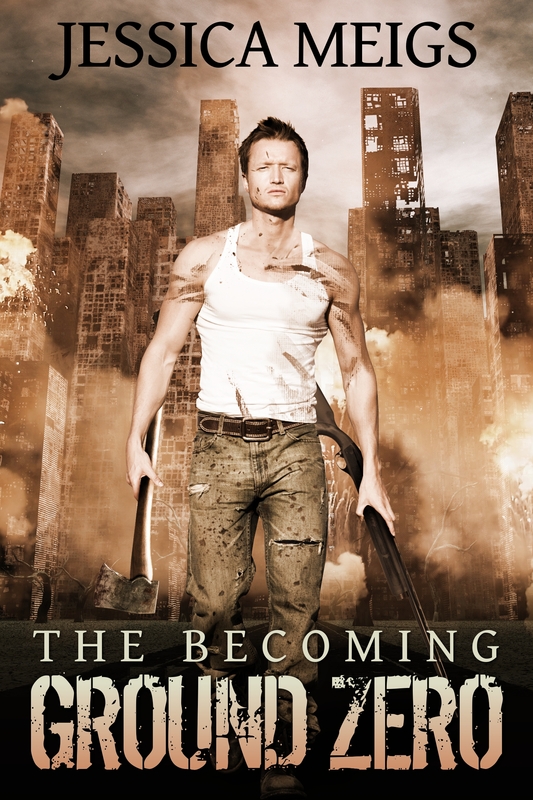 The Becoming is currently on sale in ebook format as part of Permuted Press’s The Mayans Were Wrong Sale! For a limited time, you can buy The Becoming on Amazon and Barnes & Noble for only $2.99 for your Kindle or Nook. You can check out the Amazon page for the book right here, and you can pick up the Nookbook on Barnes & Noble right here. This sale ends on January 2nd, so get it at the $2.99 price while you can! You can also check out all the other thirteen Permuted Press books that are on sale by clicking right here! In other, equally awesome news, the audiobook editions of The Becoming and The Becoming: Ground Zero are both on sale for Audible members for only $1.99 for a limited time! I’m not sure when this sale ends, so if you’ve been considering grabbing up the audiobooks for the series and you’re also an Audible member, you can scoop The Becoming‘s audiobook right here, and you can grab The Becoming: Ground Zero‘s audiobook here! And if you’re still looking to buy autographed copies of The Becoming and The Becoming: Ground Zero, you can check out the page for that here.